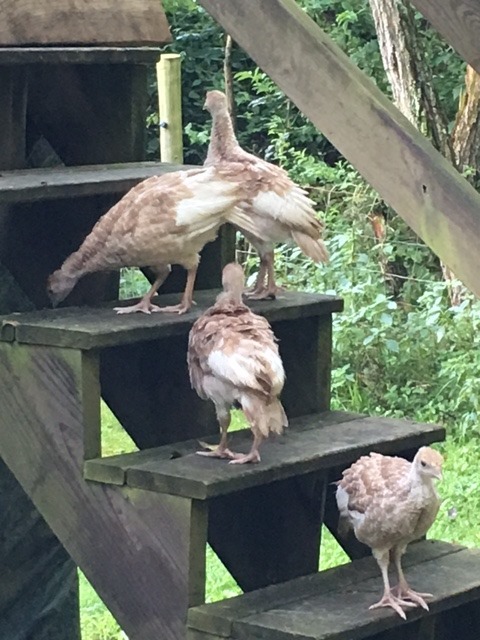 This year, we got turkey poults on July 4th. Honestly, I didn’t know what to expect. Talked to people who had them, read up online and in books about them but just like everything else, the information was here or there. Half good, Half not. I learned a long time ago not to let the “Not” send me into a state of panic. Although, I’m going to also admit, at first, I nearly broke that rule. 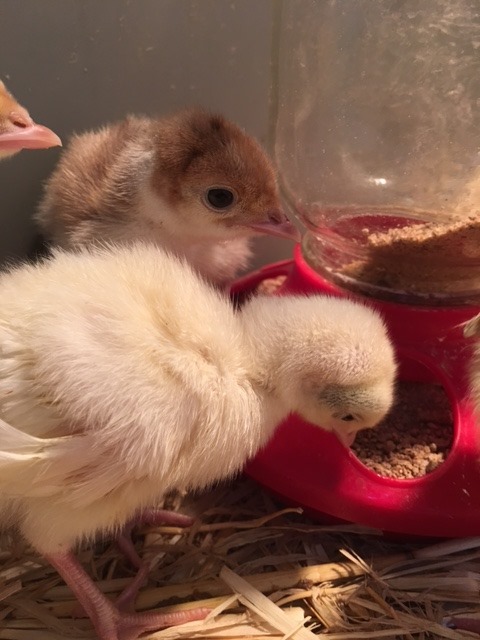 Excited, I brought six, three day old turkeys home from a man who incubates birds and sells them. He is a local and I have bought from him before – my Pekin Ducks. He keeps a very clean set-up, so I know I have a good chance getting from him. 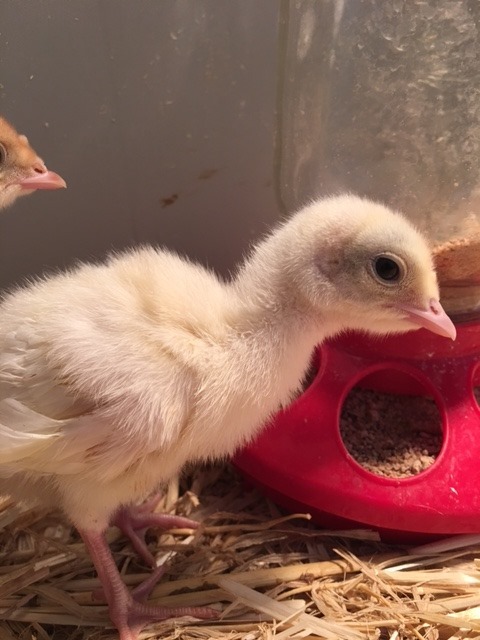 I have read online and talked to a few people that baby turkeys are rather fragile in the beginning. I keep this in mind but again, I don’t go into a state of panic. I clean the tote, constantly give fresh water, refresh feed, etc. However, I notice they are not devouring food like my baby chickens do. I quickly search online again. Yep, this seems to be a common problem. Getting them to eat. Someone says to put something sparkly in their food dish, so I run to town and buy these little sparkly, glass pebbles people use for Crafts, Vases, whatever. Again, watching them, they eat but they don’t really eat a lot. So I keep a close eye on them. They don’t seem to be sickly and they move around very well. In fact, it’s not long before I have to put something over my extra deep tote because the suckers can jump out. Their appetites’ do not improve, so I’m almost thinking they don’t like the food I am giving them. 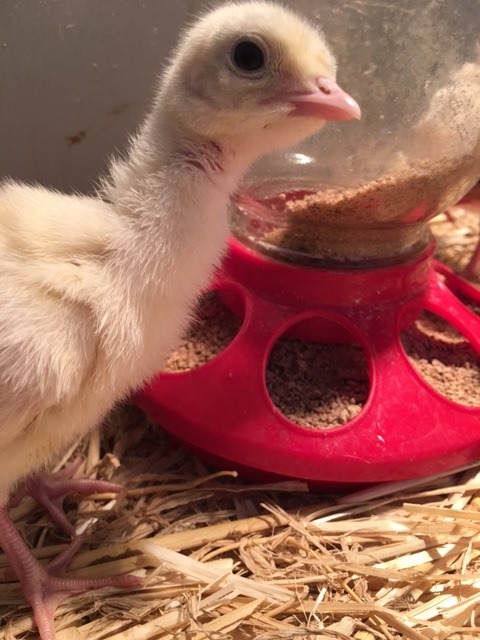 I read online where someone boils eggs, crumbles them and gives them that – because baby turkeys need a lot of protein in the beginning. 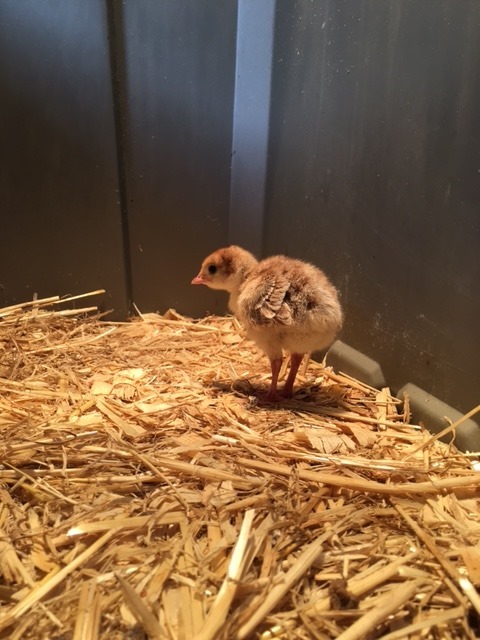 This is why I am feeding them a High Protein Medicated Wild Bird Crumble, designed for small, baby game birds like Turkeys. This goes on for a few weeks and I keep a close eye but honestly, none of them seem to be hurting health-wise. Because the days here had been in the nineties, I decided to put them in a chicken tractor when it came time to clean the totes out. I stuck them in one tractor and then my baby Australorps in another right beside them. Most may call me a liar but I swear, this seemed to change up everything. The minute I put them in the tractor, their entire view changed—literally. Their appetites picked up and I began to see just how curious they were. My yard birds would gather around them checking out the new neighbors but the turkeys didn’t spaz out of lose their down over it at all. They were curious, lively, less flighty and nervous. And their food bowls, by the end of the second day, I was having to fill it completely. Before, I hardly had to put any in it at all. By the pictures above, you can see they are much bigger now. As I write this article, they are roughly, more or less, five to six weeks old. The pictures above were taken this morning. 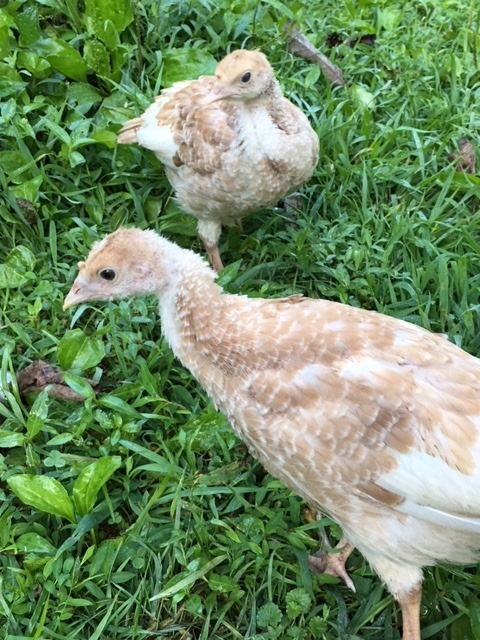 Every day now, I let them out of the Pen to run around with the other baby chics and big Hens. Hilariously, I have a Polish Chicken that I call, Elvis, who thinks she is the mother to them all. She keeps the big Hens from being too rough. 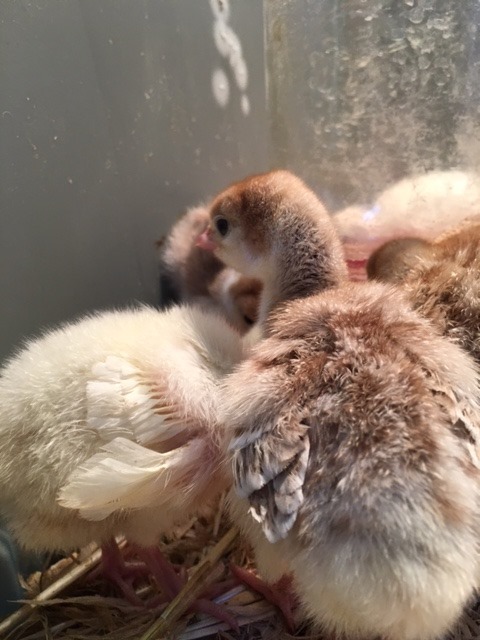 To be honest, most of the big Hens aren’t even mean to any of them except for one Bantam Cochin, who I allowed to hatch out three of her own babies this year. We call her Hitler because she is just that mean—to everything. 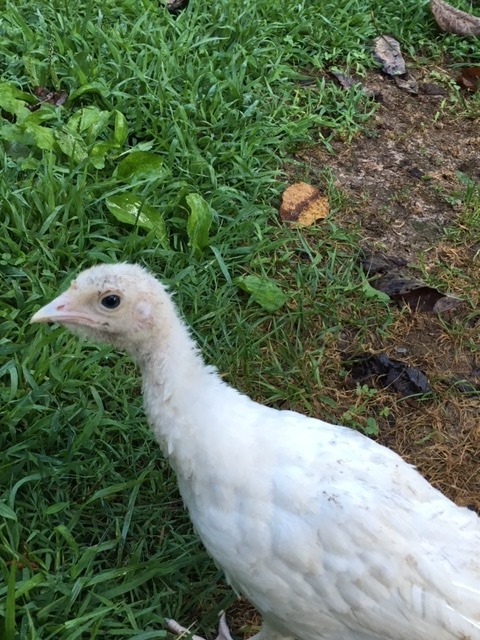 Every now and again, Hitler runs over and attempts to attack one of the baby chics – not sure on the turkeys—and Elvis lights her up for it. 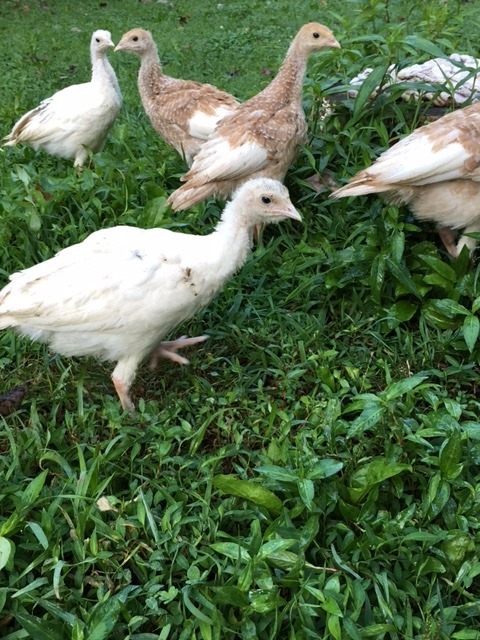 The turkeys, though, are absolutely thriving. It’s as if the moment I put them in that chicken tractor and opened their eyes to a world other than the tote, they became alive with life. 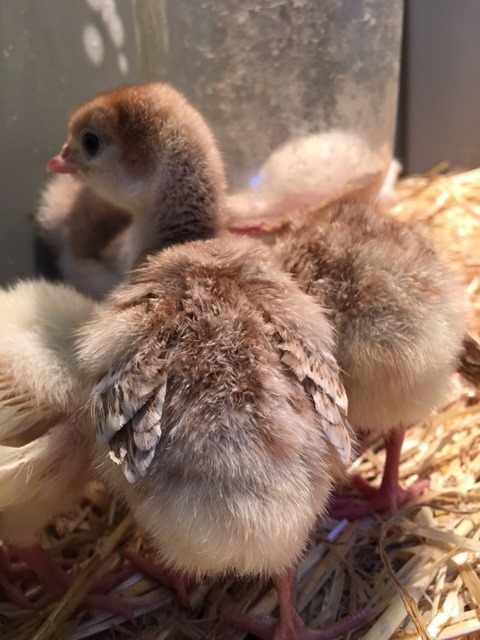 If I had to make a suggestion to anyone who is about the raise turkey poults, maybe do it when the weather is warmer so that you can take them from a tote and give them a view of the world. They just seem to do so much better. The ones I have, compared to the baby Australorps, are so much more social and curious. When we first got them, we were unsure if we would have to pen them up. The man I got them from keeps his penned up. I admit, I hate that. I have no problem locking up my birds at night, which I do, but I like them to be able to free-range during the day. I’m beginning to have hope that I won’t have to keep my Jive Turkeys in a Pen twenty-four-seven. When I go out into the yard, my Black Australorps babies stay right with Momma Elvis (who unlike her adopted minions, is quite sociable). They have little to do with me but my Jive Turkeys will follow me all around. If I sit, they visit for a bit, not really making contact with me but just hanging out. I suppose being stationary is boring for them because its not long before we say our, “See-Ya_Laters”, and they are off, curiously investigating something else. My eleven year old daughter went out to the Garden last night to get a tomato. I heard her giggling as she got quite tickled that everywhere she went, so did a tiny flock of Jive Turkeys. Peeping away as she went, never making flesh to feather contact, but following all the way.